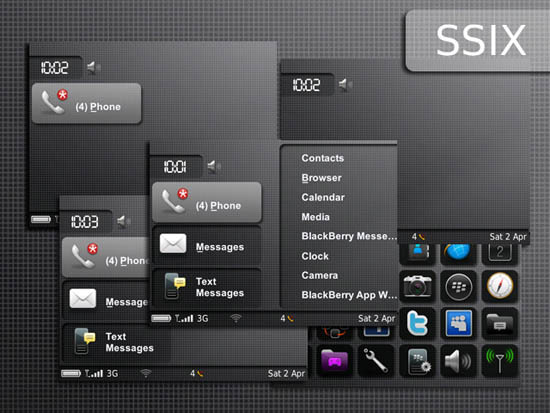 SSIX is available on sale right now for $2.99 (regularly $3.99) and is compatible with BlackBerry 8350, 8500, 8900, 9300, 9500, 9600, 9700, 9780, and 9800 (OS 5.0 - 6.0 only). Contest: Raypho has provided us with 50 copies of SSIX to pass along to you guys! If you have one of the devices listed above and want to enter to win, please leave a comment below. One entry per person and the contest ends this Sunday at midnight so don't delay!